I know that i've already done a post about Christmas nails, but i had to do another post showcasing how amazing these are! 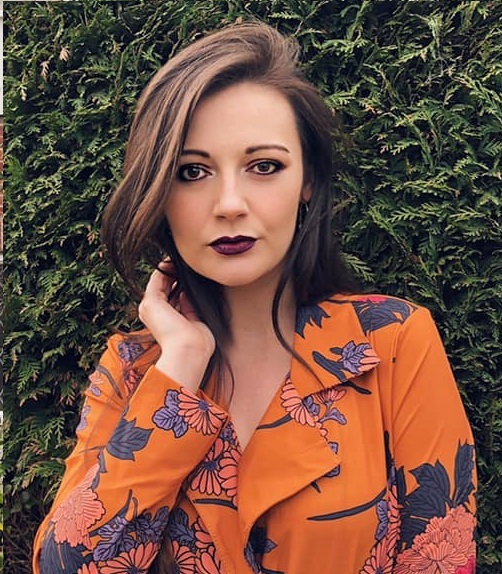 If you live in the Hertfordshire area you should definitely check out A Peacocks Beauty! 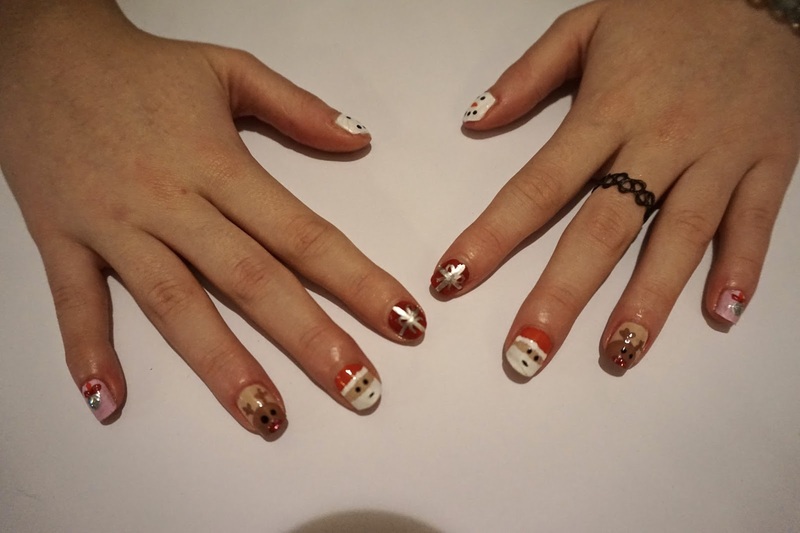 My friend did my nails for me in this Christmas theme and i absolutely adore them! 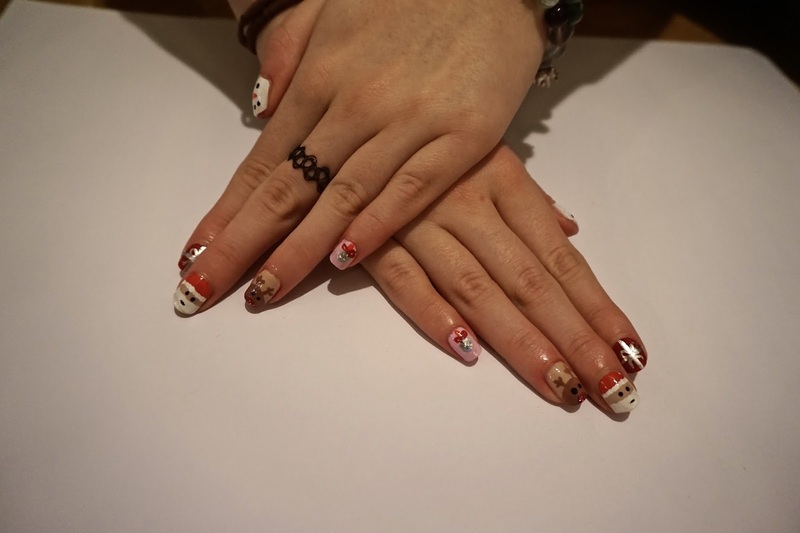 Every nail is decorated differently per hand. 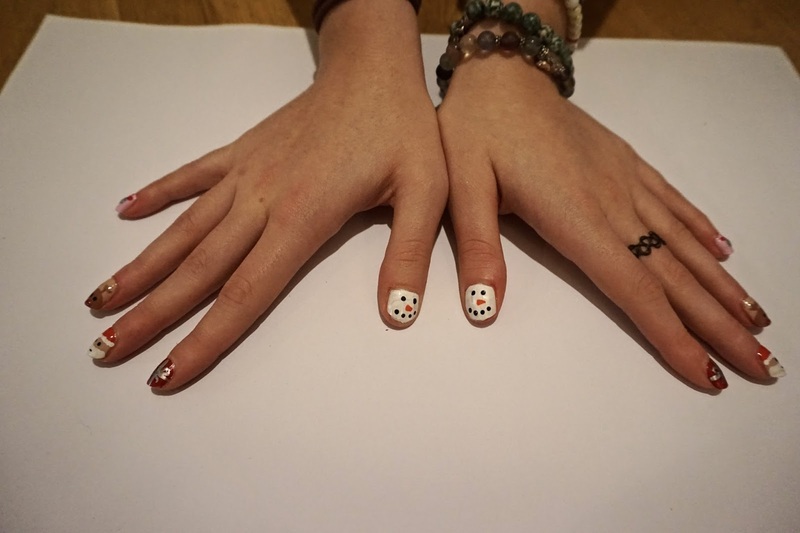 On the thumbs there is a snowman, then a present, then Santa then Rudolph, then a bauble. 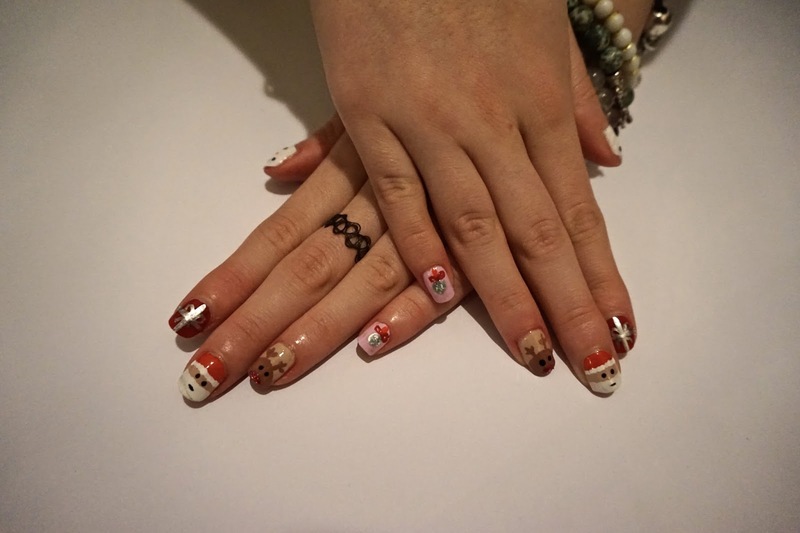 These honestly are the most amazing Christmas nails i've ever seen and i'm so lucky for them to be on me. A Peacocks Beauty also does spray tans as well as nail painting and manicures too.